You just collected the keys to your new house. You have chosen the unit because of its ideal location – not too far from the Express Way so you can drive to work easily, a stone’s throw away from the MRT station so those family members who don’t drive can get around conveniently too and next to eateries so your daily meals problems are solved. You are so thrilled when the day of shifting into your dream home comes! However, at night when you sleep, you begin to hear moving traffic coming from the Express Way, while to some it may sound like a lullaby but to a light sleeper, such continuous roar of traffic sounds is a nuisance. Having hardly slept throughout the night, you could be awakened by the vrooming sounds coming from those old MRT trains at the crack of dawn. On late evenings, you probably hear noises coming from the nearby eateries as people are chatting away, and the nightmare will be staring at you daily if these eateries are opened for 24 hours! Maybe the cheapest way to cut off such noises with minimal efforts is to put on ear plugs, with ear plugs you can live quietly in the house, oblivious to the noise outside. However, you simply can’t wear ear plugs all the time, as they are not only uncomfortable, you will also find yourself isolated for failing to interact with your family members. Besides, don’t you want to be able to watch your favourite programs on television or online? Another possible way is to put something against the window to hopefully block off the noise e.g. thick cardboard, plywood or thick foam. However, having an unsightly piece at the window not only destroys the aesthetics of your home, there will be no light entering your home and you will no longer be able to enjoy the view or know what is happening outside, defeating the very purpose of windows. What else can you do then? You can reduce the noise level by installing sound proof windows. Sound proof windows generally take the form of having two glass sheets separated by a metal frame and properly sealed, thereby creating a vacuum. As sound does not travel through vacuum, this forms as insulation from noise. 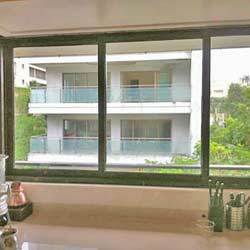 Other soundproof windows are made of special type of glass to block off the noise. Besides reducing noise pollution, sound proof windows also help to reduce heat coming into the house, thereby giving you not only a quieter but also a cooler dwelling place. Furthermore, your neighbour will also be grateful not to hear any noise coming from your house! Whilst the reduction is not 100%, the effectiveness can be more than 80% depending on the type of noise, extent of noise pollution and which floor you are staying in; experts providing sound proof windows would be better able to assess and advise you accordingly. 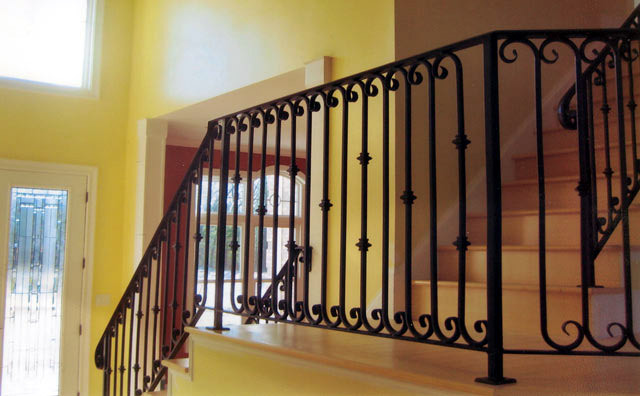 All type of properties whether industrial, commercial or residential needs entrance gates for not only making remarkable first impressions but to protect the premises. Gates reduce the chances of intruders from breaking into your premises. 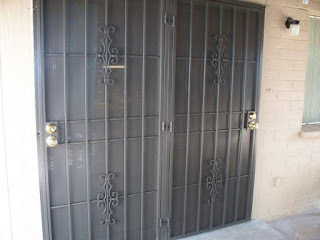 It has been seen that property values are increased after installing the gates. It also helps to minimise the disruption from trespassers. Nowadays gates come in variety of types and designs with modern technology such as sliding gates, remote controlled, CCTV controlled, bars, parking arms or even simple swinging gates. Modern and high technology means services as well as maintenance become a vital part in keeping building operation safe. Swinging gates are more graceful and requires less maintenance on daily basis compared to sliding gates. On the other hand, sliding gates offer fewer mandatory entries and more admission control. If you have spent a good value on any type of gate then to maintain its automation is your responsibility. You can do quick checks on the system now and then to ensure long lasting quality of the device. Simple tasks like alignment, greasing hinges and wheels with appropriate lubricant and keeping the tracks clean will help for smooth manoeuvrings. Sometimes litter which gets stuck inside the control board causes big damages. Pests can ruin electrical wiring on the control board so it’s important to always keep the machine clean. Resetting of the codes of remote control is also part of maintenance and it adds a safety aspect as well. Cut back any plant growth that impedes the gate. Having clear, visible sign of automated gates also helps to avoid forced entry by first timer visitors. Noticeable signs will protect gates from impact and crushing in the opening area. Ignoring the servicing and maintenance can land you in trouble like you may find yourself locked out of your own property on a wet weather. Sometimes minor faults can cause the disruption in the operation of gates. It’s good to have a cost effective maintenance and service contract with a professional servicing agency. Faults such as replacement of any parts or underground mechanism damaged by blockage of holes are beyond our control. These agents provide periodic service and maintenance at reasonable prices. The most embarrassing and worst possible time of your life can be when the valuable gate suddenly ‘stops working’. Gates’ lifespan can be protected by frequent checks and inspection for great quality service. In the market, there is a wide range of gates made of aluminium, wrought iron and etc. operated electrically. You can’t look after gates all by yourself unless you have the knowledge of the mechanism. You have to keep up to date to avoid from getting off beam forever. Best way is to go for regular maintenance and services to prolong your investment. That will reduce the amount of likely pricey breakdown. The gates which operate efficiently and reliably will definitely put best visual impression on the customer about your business.